The Grand Canyon University College of Fine Arts and Production musical, opening tonight at Ethington Theatre for the first of a sold-out, 11-show run, is an exhilarating good time that grabs your attention and doesn’t let go. 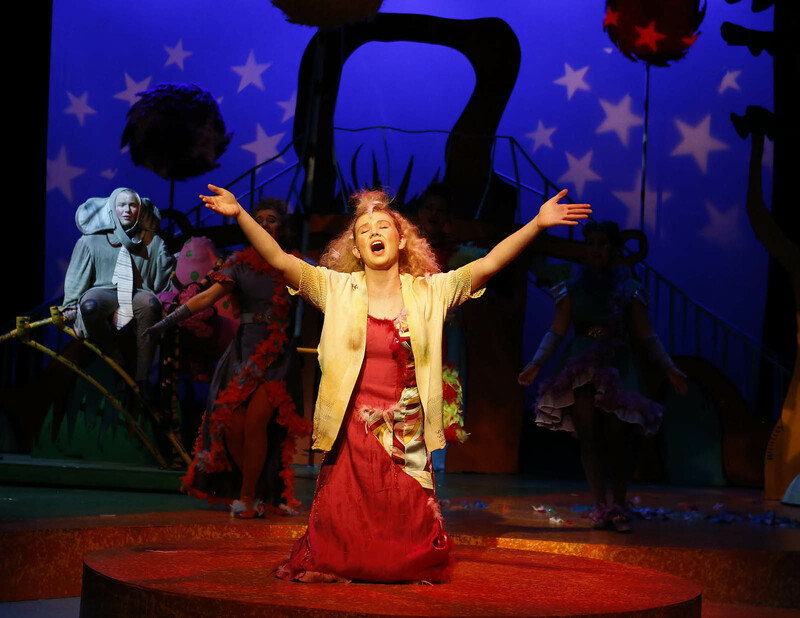 It’s a big-time musical with songs ranging from sweet love-story duets to foot-stomping, all-cast numbers on a set, with fuzzy-topped trees and a “sky” that changes from green, to purple, red and blue, that brings you into the cattywampus world of Dr. Seuss. 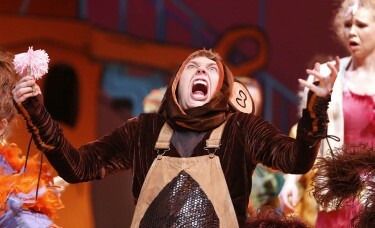 Horton the elephant, played by Preston MacDonald, wants to save the Whos. Dr. Seuss fans will see many friends, including main characters Horton (Preston MacDonald), Gertrude McFuzz (Devaune Bohall), Mayzie LaBird (Tarnim Bybee) and JoJo (Bri HaNguyen). 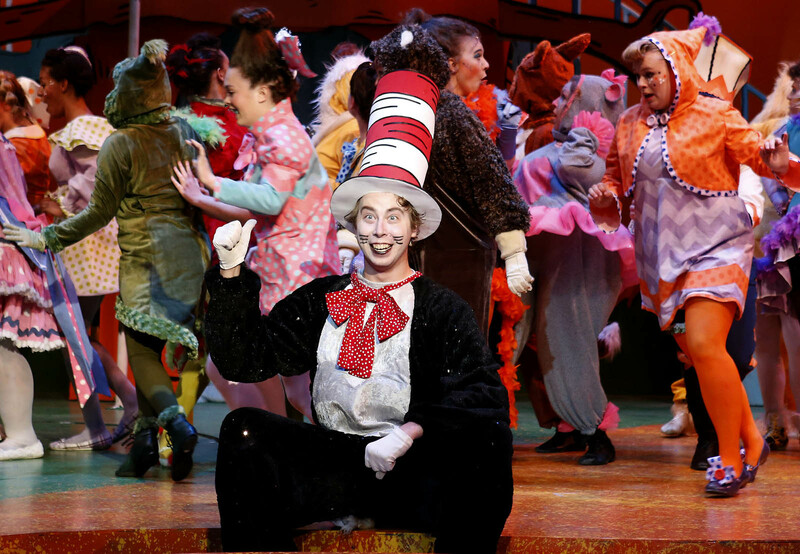 But there’s no mistaking the star of the show, the Cat in the Hat (Ryan Usher), the smooth-talking, manipulative, devil-may-care catalyst who appears in an arsenal of silly hats, reveals a laugh-inducing repertoire of facial expressions, and sings songs both mocking and serious. One number, “How Lucky You Are,” was Usher’s favorite, he said after his over-the-top performance in a role he described as “my most challenging by far.” Even though he sang it in a sarcastic way for comic effect, the message, he said, is uplifting. Amid the hilarity is a bird-gets-elephant love story between Gertrude and Horton and Who parents who learn a lesson about raising their son, JoJo. 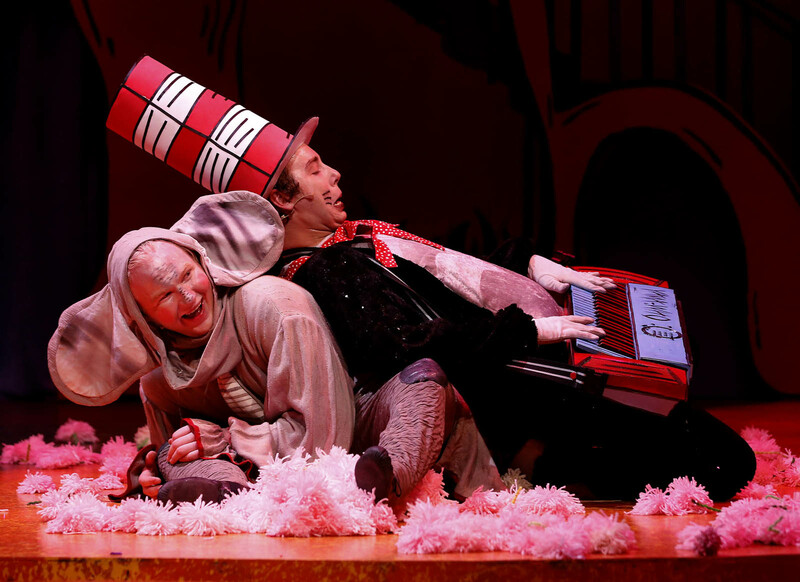 There is peril, as the wild and crazy animals in the Jungle of Nool don’t believe Horton for a second that there is a teeny-tiny planet in a speck of dust on a clover. Gertrude McFuzz laments that Horton doesn’t notice her, even with a long and colorful tail. The monkeys, birds and lions, the soul-singing “sour kangaroo” (Becky Vice), the vulture with menacing black wings and all the creatively costumed characters bring sensational energy. Some of the biggest laughs came for three monkeys (Bennett Wood, Kaleb Burris and Taylor Kortman) who sing, dance and even tumble, most of the time wearing red-framed goggles. But Gertrude, with her longing for a bigger tail to attract Horton and her fumbling attempts to fit in with the “bird girls” (Carah Robenalt, Kaylee Atkisson and Laynie Nelson), elicited some of the biggest laughs of the night. There’s no mistaking the characters: The Whos have hair that is tightly braided and coiffed and they move woodenly, like dolls, while the jungle animals move with sinewy litheness. The sultry bird girls have fluffy, feather-like, unfettered hair. The audience is treated to several mesmerizing moments when the entire cast comes to the front of the stage, faces the house and performs jaw-dropping musical numbers. MacDonald, who plays Horton, was thunderstruck by the audience’s positive response. The three monkeys in Seussical the Musical draw laughs. “It’s so amazing to have it pay off like this,” MacDonald said, beaming. Contact Laurie Merrill at 602-639-6511 or laurie.merrill@gcu.edu. To see a slideshow of the colorful characters, click here.